The terms disease and illness are often used interchangeably. Medical sociologists and cultural anthropologists, however, make a distinction. 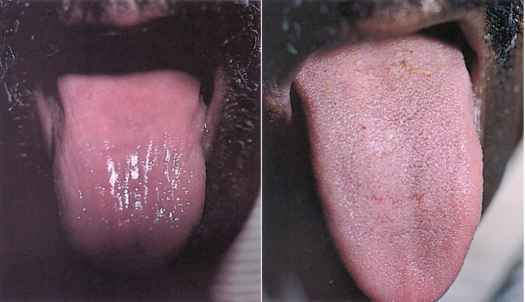 The word disease refers to a disorder in which there is a change from normal in the body's structure or function, involving one or more organs of the body. Illness is the subjective distress felt by the patient and by those close to the patient, rather than the actual state of ill health. The patient's culture often determines how the patient interprets, explains, responds to, and deals with a disease. It also influences when a patient will seek health-care decisions and from whom. Members of some cultures try to ''normalize'' their symptoms, maintaining that symptoms in a certain age group are not abnormal. Affected members might say that they have experienced the symptoms before and that therefore the symptoms are normal for them. Other cultures dictate immediate care even if symptoms are minimal. According to some cultures, to be ill is a punishment or curse, whereas according to others, to be ill is to be weak, irresponsible, or unmasculine. For many patients in the United States, the clinician is only one of many health-care providers and often not the first. Some patients are likely to consult a healer from their own culture before seeking consultation from a Western-trained clinician. Two patients from different cultures may react differently to the same disease or symptoms. Thus, treating illness, rather than treating disease, requires the health-care provider to have not only a broad understanding of medicine but an understanding of the patient's cultural background. Health, as defined in The Random House Dictionary of the English Language, is ''the general condition of the body or mind with reference to soundness and vigor.'' It is often defined more abstractly as the ''absence of disease.'' In some cultures, health is viewed as the freedom from evil. Other cultures regard health as day and illness as night. By extrapolation, health reflects light and clean, and illness reflects dark and dirty. These depictions form the basis of the beliefs of many cultures, which are discussed later in this chapter. 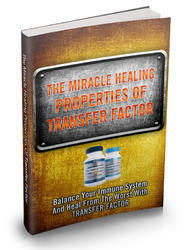 Balance Your Immune System And Heal From The Worst With Transfer Factor. The immune system is one of the most important key factors when it comes to the transfer factor. Before one can fully understand why transfer factor is so important, it is even more important to understand the various functions of the immune system for one cannot comprehend the use of a fireplace without understanding why fire is important.